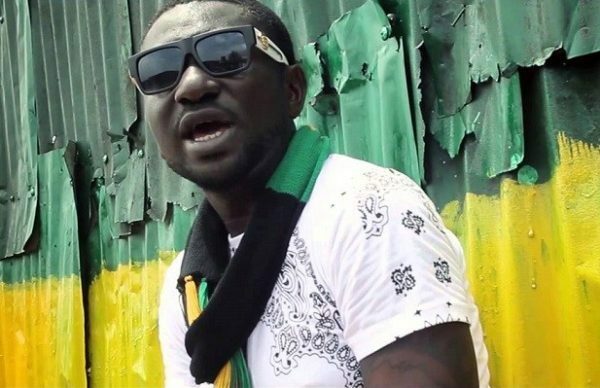 Barely hours after making the rounds on social media with his diss track, “War”, Blackface has promised to drop the second part of the record. 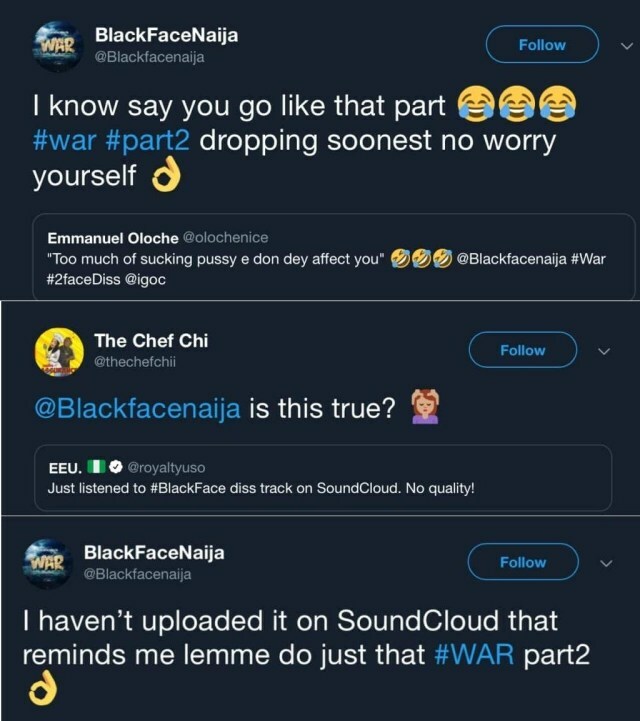 The internet went wild following the release of Blackface’s War which was a song meant to diss legendary singer, 2Baba. The song saw Blackface calling out his former band mate, 2face and tagging him gay amongst other names all in a bid to get at the African Queen crooner. After receiving major backlash from social media users, the rapper, undeterred has promised to release part 2 of the music. The post WAR!! Blackface Vows To Release Part 2 Of His Diss Track appeared first on Naijaloaded | Nigeria's Most Visited Music & Entertainment Website.